Pink Floyd drummer Nick Mason will perform vintage material by the legendary UK band at four intimate London concerts in May. Billed as Nick Mason's Saucerful Of Secrets – after the group’s second album – the drummer will be joined by a lineup that includes Spandau Ballet’s Gary Kemp, Lee Harris of the Blockheads, bassist Guy Pratt and composer Dom Beken, a collaborator with late Floyd keyboardist Rick Wright. “This is a unique opportunity to experience Pink Floyd’s celebrated and significant early body of work played live including songs from albums The Piper At The Gates Of Dawn and A Saucerful Of Secrets,” said the group in a released statement. “Very few bands are as culturally important as Pink Floyd. 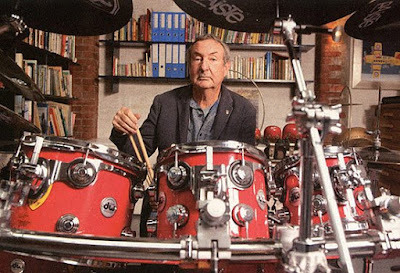 They are one of the best-selling music artists of all time and Nick Mason is a founder and the only constant member of the band performing on all of their albums as well as all of their live shows. Tickets for the rare dates are available now at thesaucerfulofsecrets.com; all ticket holders will require photo ID with their ticket for entry to the shows. Pink Floyd’s 1967 debut, “The Piper At The Gates Of Dawn”, was recorded at Abbey Road Studios by the band’s original lineup of Mason, vocalist/guitarist Syd Barrett, bassist Roger Waters and keyboardist Richard Wright; the project introduced the group beyond the UK underground scene while being hailed as one of the greatest psychedelic albums of all time. 1968’s “Saucerful Of Secrets” moved the band forward during a transition period that saw the departure of Barrett and the addition of guitarist David Gilmour; the set delivered the group their second straight UK Top 10 album. Material from both records were featured on Pink Floyd’s 1971 compilation, “Relics”, which will be reissued on heavyweight 180-gram vinyl on May 18, the same day the band are releasing their 1995 live package, “Pulse”, on vinyl for the first time in many years.